Curtin University Dubai, one of Australia’s most highly regarded and prestigious universities, gets ready for the grand finale of their acclaimed Business Cup Challenge which will conclude on 24th November at Emirates Institute for Banking and Financial Studies Auditorium. The Business Cup Challenge (BCC), running for the fifth time since its initiation is a unique platform that brings together the brightest students and finest business ideas from schools across the United Arab Emirates. The interschool competition is a unique CSR initiative that launches high school students into the business world at a young age. Students are required to review real-world business cases business plans, analyze crucial business situations and present a case to an academic and professional panel. Students will also get the opportunity to work as part of a team, in a competitive environment, using their critical-thinking and problem solving skills and business acumen. The preliminary rounds were composed of three case studies that were issued online over the course of three weeks. Each week, a new case study was released and teams were asked to solve the case within one week and submit their answers to earn a cumulative score which was reflected on the leaderboard. The solutions to the fourth case study will be presented at the finale. “This has been our largest and most competitive Business Cup Challenge ever, with participation coming in from schools across the GCC. 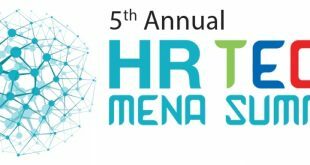 We thank our sponsors and partners Gulf News, BPG Group, Hunter Foods FZCO, and Fine Hygienic Paper FZE for their support. The Business Cup Challenge differs from a one-day competition as it focuses equally on learning as well as imparting skills necessary in real-life businesses. The objective behind this four week initiative is to prepare school leavers for the real world as they embark on a journey into the working world. 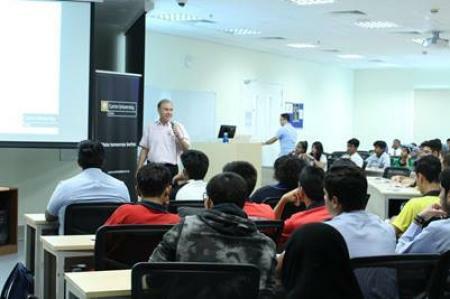 Students not only compete but also learn with each case study,” said Mr Daniel Adkins CEO, Curtin University Dubai’s Academic Infrastructure Provider, Transnational Academic Group. Participating students received scores as well as in-depth feedback on each case study submitted online. At the end of week three, top 8 teams have directly moved to the final round to present the fourth case study on the day of the finale. The remaining teams will go through the elevator pitch round, and two winners will join the top eight teams for the presentation round. The elevator pitch round, presented by one team member for 40 seconds, gives schools a second life-line to make it to the final presentation round. Students also had the option to attend a preparatory workshop or to watch it live before the competition began. Solutions for the first three cases had a word limit of 2000 words or videos not exceeding more than 5 minutes. Presentations for the fourth case have a time limit of 10 minutes. Each team can have four to seven members from grades 10 to 13 and each school can send up to four teams.